ชุดที่มาแข่ง Wuhan Cup 2018 เป็นชุดที่ดีที่สุดหรือไม่? มีที่มาอย่างไร? "In order to participate in 'The International Youth Football Invitational Tournament of Wuhan' to be held in Wuhan City, Hubei Province, China from September 2 (Sunday), the U-14 Japan Premium Offshore Chair will be gathered at Narita Airport and take the active It was. Japan, who won the tournament last year, will aim for the second consecutive tournament by selecting 18 athletes from all over the country to participate in this competition for the second time. 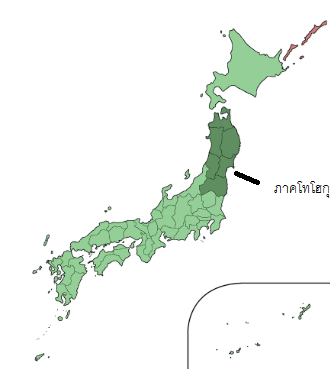 Japan of Group A entered the same group as Thailand, Vietnam, Uzbekistan, Group B was China, Korea, Malaysia, UAE. This tournament will be a schedule to fight group stages for three matches and then fight for two matches. The team departing from Narita airport arrived at the local dormitory around 23:00 after about 4 hours flight." "เพื่อที่จะไปแข่งทัวร์นาเม้นท์ The International Youth Football Tournament of Wuhan ที่จัดที่เมือง อู่ฮั่น มณฑล เหอเป่ย ในวันที่ 02/09/61 ทีม U14 จะไปรวมตัวเดินทางที่สนามบิน นารีตะ เพื่อออกเดินทางไป ในการแข่งขันรายการนี้เมื่อปีก่อนทีมเราได้แชมป์และปีนร่ตั้งใจไปเก็บแชมป์สมัยที่สองติดกัน โดยเราคัด 18 นักเตะจากทั่วประเทศมา ซึ่งญี่ปุ่นอยู่กลุ่มเดียวกับ ไทย,เวียดนาม,อุซเบฯ ส่วนอีกกลุ่มมี เกาหลีใต้,มาเลเซีย, UAE โดยในรอบแรกแข่ง 3 นัด ต่อด้วยรอบไขว้และรอบชิง(หรือที่ 3) ทีมเราเดินทางถึงหอพักที่จีนเวลา 23:00 น. 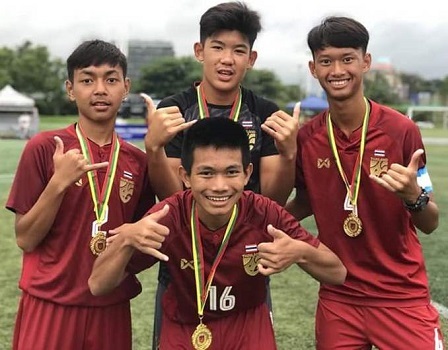 โดยใช้เวลาเดินทางทั้งสิ้น 4 ชั่วโมง"
Launched in 2003, the U-13/14 JFA Elite Programme has served a critical role in developing future National Team players of Japan. The men�s programme will conduct a total of four annual activities for both U-13 and U-14, including training camps and international tours. In addition, starting from 2018, a selection will be held for players who were not selected for the Elite Programme, but still showed great potential and/or character. Those players will participate in the biannual Elite Programme Future Camp, which will be held once with players divided into East and West camps, and once in a combined camp. Likewise, the women�s programme will conduct a total of three annual activities for both U-13 and U-14, including training camps and international tours. The selection for the men's side will be linked with the activities held by the National Training Centre U-13/14, while the women's side will be chosen from the regional/prefectural training centres. The programme aims to provide a better environment and coaching for those players with great talents, allowing them to improve themselves through high level competition. The programme shares a mutual goal with the National Training Centre of �individual development� and supports the �player�s independence.� Within the activities, the programme also provides off the pitch curriculums such as development of logical communication skills and dietary education. Since the inauguration of the programme, in efforts to strengthen each age-categories, the programme has conducted an annual joint camp with the Korea Republic National Team featuring matches among each age-categories. ..แอ๊คโคโนเป็นสิ่งที่แปลกใหม่ในบ้านเรา ชื่อเสียงของบริษัทนี้มีมาช้านาน แต่เฟิร์สคอนแท็กในบ้านเราไม่ค่อยดี ใหนๆก่ทำสัญญาแล้วอย่าเพิ่งรีบไล่เลยให้โอกาศเค้าหน่อยเถอะ อย่างน้อยยู14 ก่สู้ญี่ปุ่นได้แล้ว ให้เค้าประคองไปอีกสัก2ปีเป็นยู16 ถ้าถึงวันนั้นไปรอบสุดท้ายบอลโลกยังไม่ได้ค่อยมาว่ากัน..ช่วงนี้ก่ปล่อยให้เค้าปรุ่งเต็มที่..